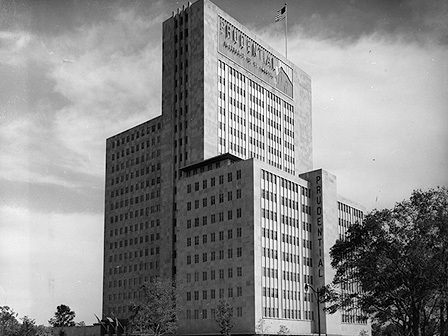 This 18-story office building became the first high-rise constructed outside of downtown Houston. The work of local and prominent Modernist architect Kenneth Franzheim, it is at risk for demolition by M.D. Anderson Cancer Center, owner of the property. UPDATE (June 2014): Unfortunately, the building was demolished in January 2012.